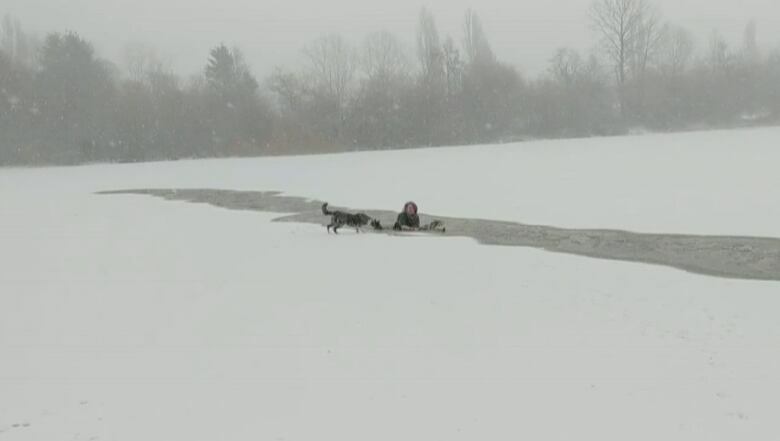 Video captured on a cellphone shows the dramatic moment that a woman rescued a dog after it fell through the ice on frozen lake in East Vancouver. 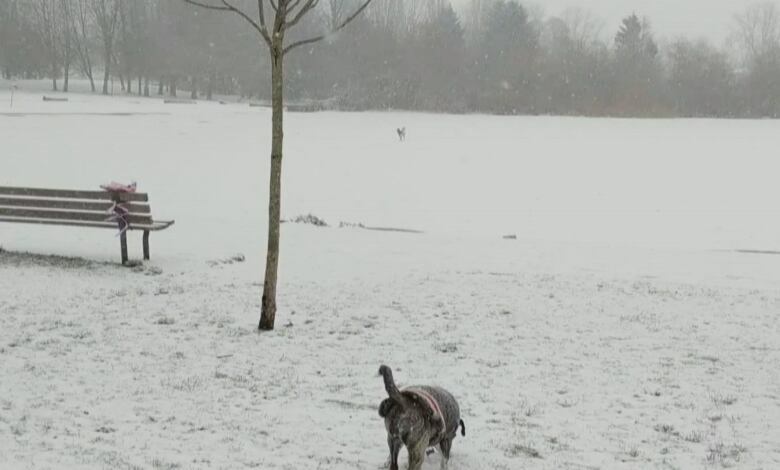 Video captured on a cellphone shows the dramatic moment that an unidentifed woman rescued a dog after it fell through the ice on Trout Lake in East Vancouver. 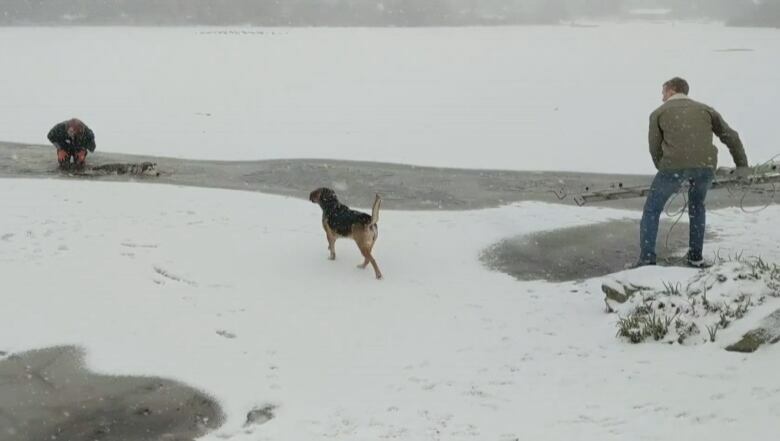 Ben West was enjoying the snow on Friday with his own dog when suddenly, another dog that had wandered onto the frozen, snow-covered lake fell through the ice. West said most people were shocked and called out to the dog — but one woman was spurred into action. 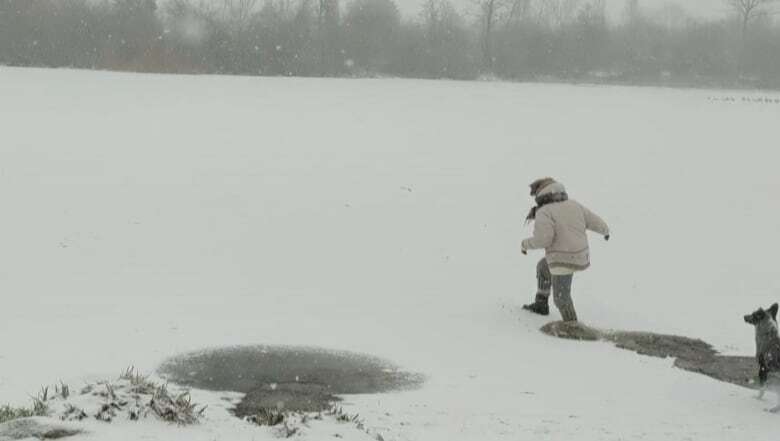 "This woman, it wasn't even her own dog, she just started trotting out onto the ice and kind of falling through onto the water," said West. "People were kind of cautioning her — 'Don't do it' — but she said 'It's a dog, I have to." 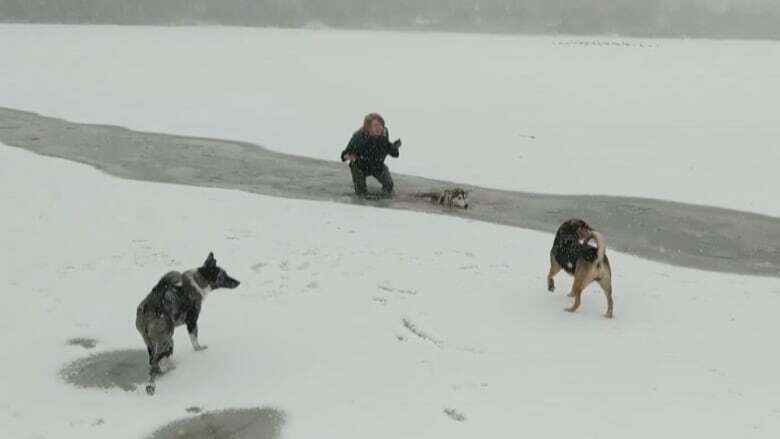 West said the woman continued breaking the ice with her hands, and that the freezing water was up past her waist by the time she reached the dog, which was struggling to swim. The woman pulled the dog back to shore, where bystanders had called paramedics and brought blankets. West said that the woman was freezing cold but uninjured and was accompanied to a nearby house to dry off and warm up. "I think she was just in shock. She seemed pretty calm given the circumstances," said West, who says he chatted briefly with the woman afterwards but did not catch her name. The dog, whose name is Tessa, was towelled off, seemed to recover quickly from the mishap, and began playing with the other dogs, apparently none the worse for wear. "It was definitely not what we were expecting when we went out for a walk this morning," said West. "I was just in shock and really just amazed at this woman's kind of heroic instinct to go do this thing."